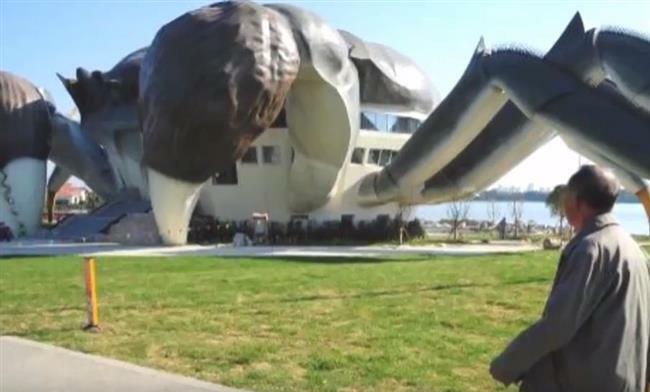 An eye-catching building in the shape of a giant hairy crab has been welcomed by locals and netizens alike. 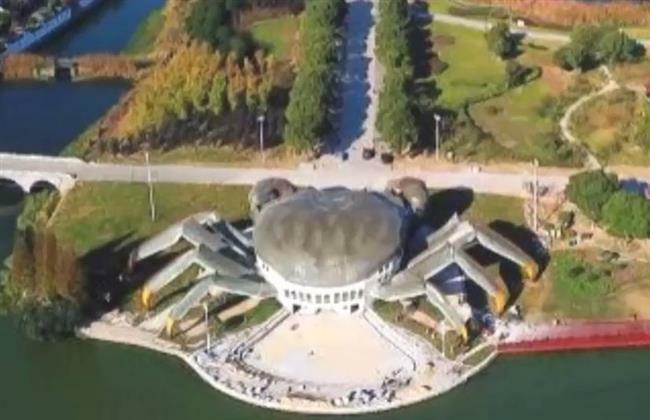 An eye-catching building in the shape of a giant hairy crab has been embraced by locals and netizens alike. 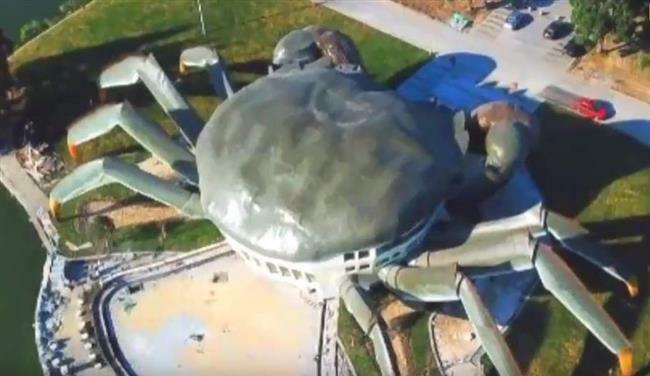 The unique piece of architecture, currently under construction, is located in Kunshan City of Jiangsu Province, in an area famed for its huge hairy crab harvests each autumn. 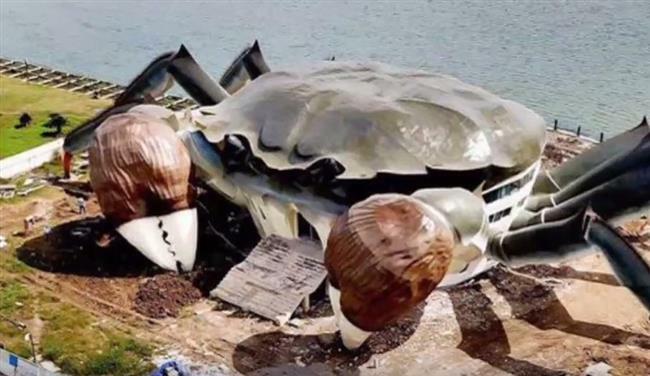 A passerby surnamed Yang said the huge crab on the shore of Yangcheng Lake was "creative" and that it "really made an impression". A local resident, instead of being scared of what some might liken to a giant monster crawling up from the deep, welcomed the building: "It really conveys our crab culture effortlessly, and it's delicate in its details," Wu said. Netizens appreciated the structure, too, with pictures of it going viral online this week. The building's "belly" will become home to a three-story, 1,200-square-meter center depicting hairy crab culture, integrating recreational facilities and a crab dining experience as well — all part of the city’s efforts to build the area into a national tourist attraction. The stainless steel structure — which measures 75 meters in length and stands 16 meters tall — will open to the public in the second half of next year.